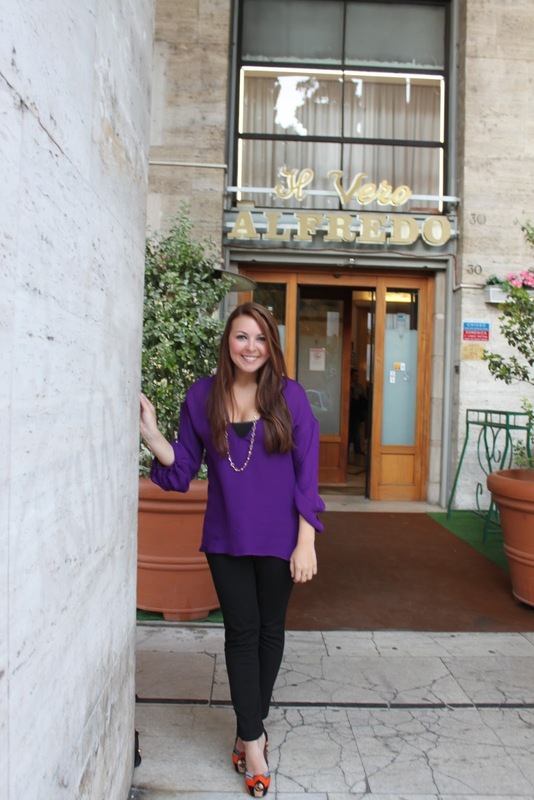 I woke up early, antsy that this was our last day in Italy. We met Guise and headed towards our main site of the day, The Vatican. Before entering Vatican City, Guise thought it would be nice to take us by her favorite outdoor market, since we had spent so much talking about our love of food and cooking. The market was pretty packed with vendors and customers alike. I was most surprised at the vast amount of different types of products different stands offered. There was the typical fruits and veggies, which were so perfect looking and delicate that I would almost be sad to have to cook with them, and then there was everything from spices and oils to flowers and hand sown cloth. There was even a stand entirely dedicated to red peppers! Also shown above was a craft pasta vendor (top left) and a stand with tons of crisp green vegetables. Seen below are stands filled with spice blends, oils and vinegars, and homemade sauces and jams. The flowers were just beautiful, especially the peonies pictured below, one of my favorites! Toe-may-toe/Toe-mah-toe... either way these look great! Perfect for fried zucchini blossoms! 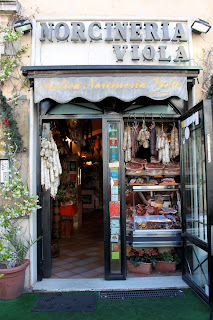 We even had the chance to slip into a artisan meat shop, where Guise had us try some of the local hams of the region. 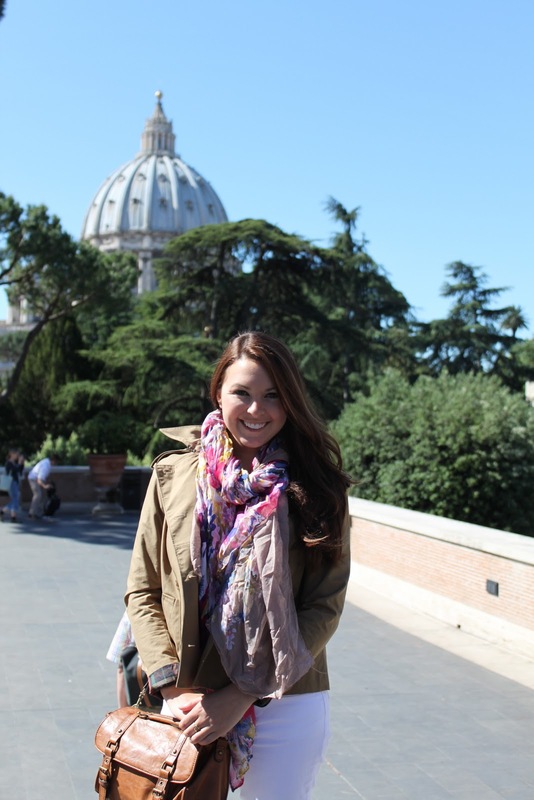 After we had fed our eyes full and teased our grumbling stomachs, we made our way to the gates of Vatican City. 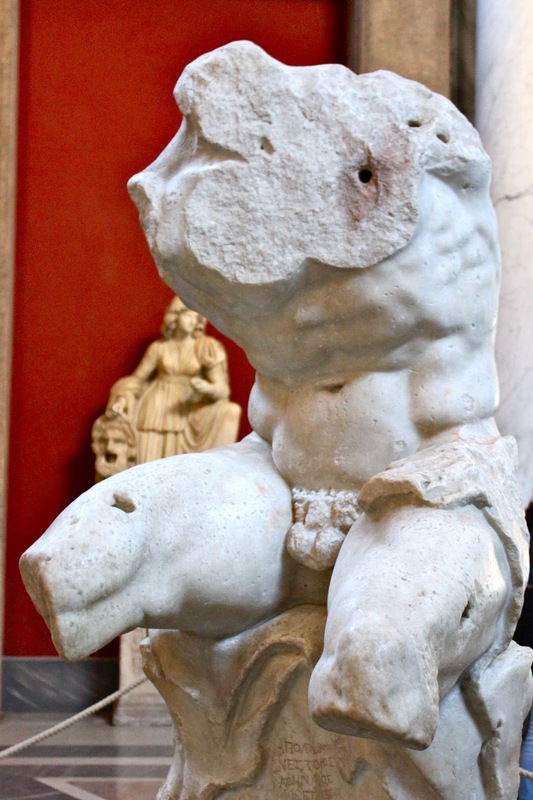 We first started in the Cortile del Belvedere, a small courtyard area surrounded by the vastness of the vatican buildings and filled with various sculptures gifted to the Pope. 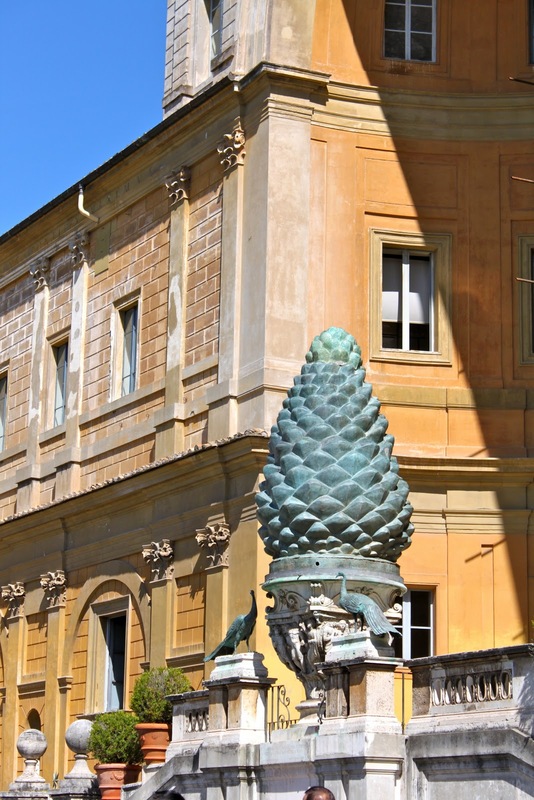 The golden orb above is a sculpture done by the artist Arnaldo Pomodoro entitled, "Sphere Within A Sphere" and the giant pine cone was cast by Publius Cincius in the 1st or 2nd century and moved to the Vatican somewhere around the 8th, giving the upper terrace its name Cortile della Pigna, pigna meaning pine cone. Once inside the cavernous museum, it was like an onslaught of artwork. Statue after statue, painting after painting, tapestry after tapestry; the unbelievable collection seemed to go on forever. Even the walls and ceilings would be considered part of the lot. Pictured above is just a mere sampling of some of the incredible stone works kept inside the museum. 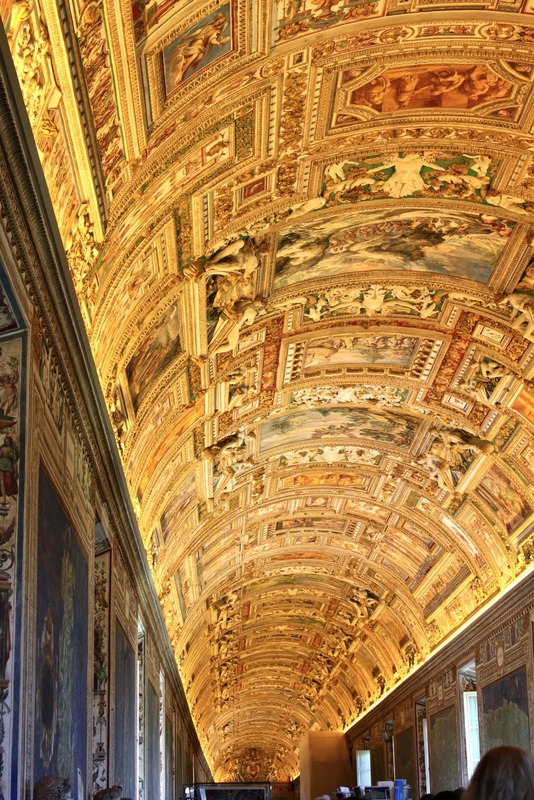 We started moving throughout the Vatican rooms and experienced even more visual pleasure. Any piece of visible wall or ceiling was an opportunity to showcase talent and was fully taken advantage of. 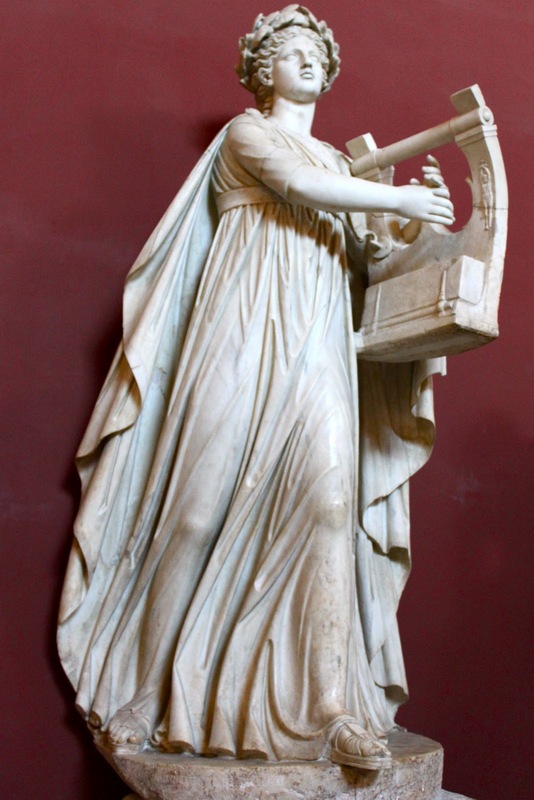 Especially impressive were the wall-scapes painted by Raphael. The particular fresco seen above is one of Raphael's most notable, entitled "The School of Athens". As a special treat, Guise, took us down into the Borgia apartments, where Pope Alexander VI lived during his papal reign. I am a huge fan of the HBO series "The Borgias", that examines the life of one of the most infamous and controversial Popes in Catholic history. Known for his keeping of mistresses, children born out of wedlock, fraudulent practices for securing his power, and even potential murderous plots, Rodrigo Borgia was one of the most scandalous and most interestingly fun Popes to study. Above are some shots inside the rooms where he lived during his Papacy. The top right picture shows the signifier of the House of Borgia, the bull, which is found throughout his apartment rooms and on his papal crest. 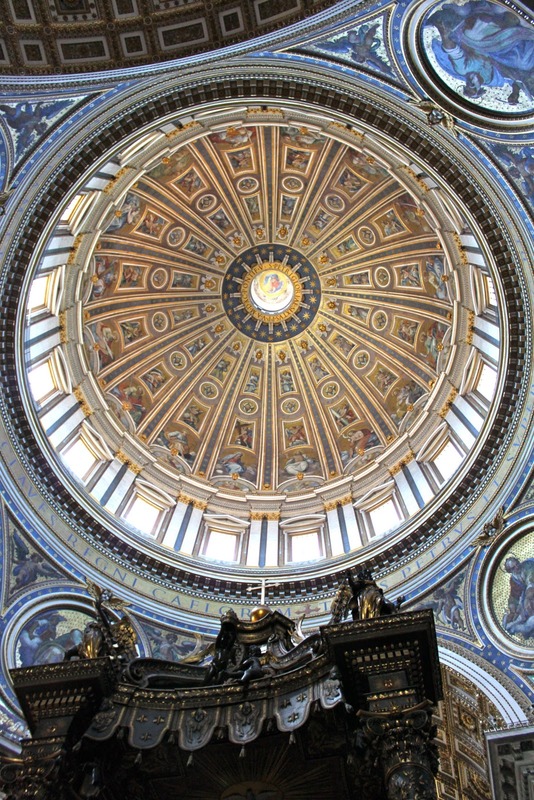 Following our visit to the Borgia apartments, we made our way into beautiful St. Peter's Basilica. 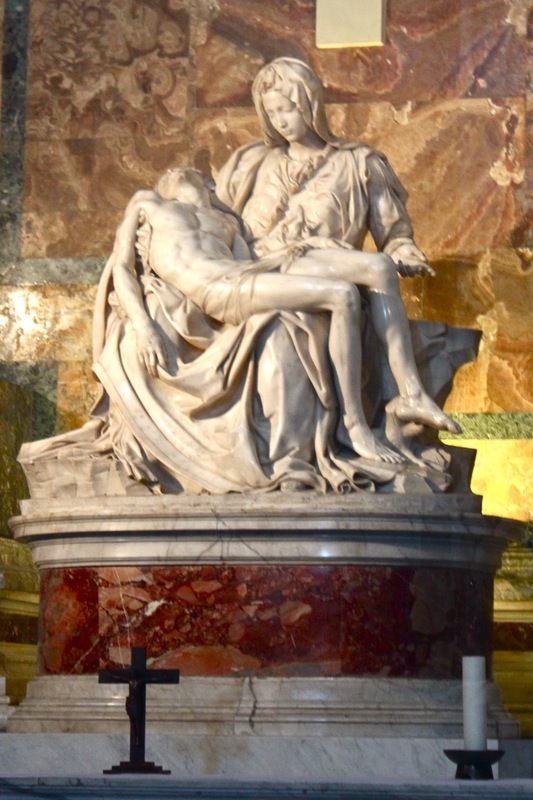 We saw Michelangelo's incredible "Pieta" sculpture, depicting Mary mourning Jesus' crucifixion, and the bronze statue of St. Peter, where we rubbed his feet for good fortune. Once outside, we caught a glimpse of the Swiss Guards hard at work protecting the Pope and Vatican City as they've done for nearly five centuries. We also took a quick sip from the papal fountains, whose waters have been blessed, to purify our bodies. We spent a little time reminiscing with Guise over the days we had spent with her touring Rome and got a little sad over having to leave such an enchanting place behind. We grabbed a quick lunch of a spinach and salami panini with a salad that resembled an American tossed "Cobb". It was fast, light, and just enough to keep our energy up as we tooled around the streets of Rome not wanting to leave. After making a few last minute purchases, we reluctantly sent ourselves back to our hotel to decompress with a glass of wine. At the suggestion of the tour company we found Guise through, we decided to dine at a restaurant called Alfredo's, where as you might have guessed, the famed dish fettucini Alfredo was said to have been first created and served. 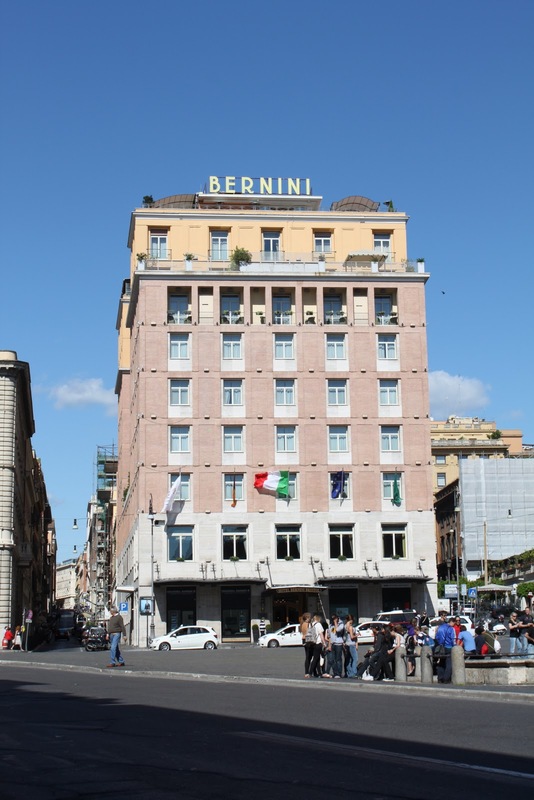 Regardless of how history did or didn't play out, I could tell on our arrival that Alfredo was definitely the "king" of fettucini. Framed photos of Chef Alfredo mixing fresh pasta for celebrities, social elite, and politicos adorned every wall like awards in a trophy case. In our little corner table alone we spotted Elizabeth Taylor, Ava Gardner, John F. Kennedy, and Burt Reynolds all enjoying heaping plate-fulls of Alfredo's freshest fettucini. Eager to dig right in, we got to ordering. Luckily, real Italian fettucini Alfredo is a far cry from the Americanized cream sauce found on menus at Olive Garden and on shelves at your local grocer. Don't get me wrong, even I can put aside my inner food snob and thoroughly enjoy salad, soup, and bread sticks, but once you have the real deal, its extremely hard to ever go back. The authentic dish is actually quite simple; fresh grated parmesan cheese and room temperature butter rigorously mixed into piping hot fettucini. The combination is simple but genius because as the cheese and butter melt into the hot pasta it becomes luscious and creamy, which is probably how the sauce transformed into a cream base upon it's arrival in America. I had ordered the pene pasta with vodka sauce and ham, which somehow managed to trump the decadent and cheesy fettucini my mom chose. The sauce was like velvet draping the perfectly cooked pene spears and the crispy ham added a dense meaty flavor that was rich and crave inducing. After consuming alarming amounts of pasta we almost forgot about our main courses, which we were glad to set aside while we made room in our full stomachs. My mom indulged in a delicate lemony white fish while I devoured tomato soaked shellfish till we both couldn't possibly stand to look at another piece of food. As we rested our digestive systems, a sweet old Italian "mariachi" serenaded us with classics like "Volare" and "That's Amore". I also caught a great shot of a server mixing fresh fettucini table-side for a group of eager eaters seen below. 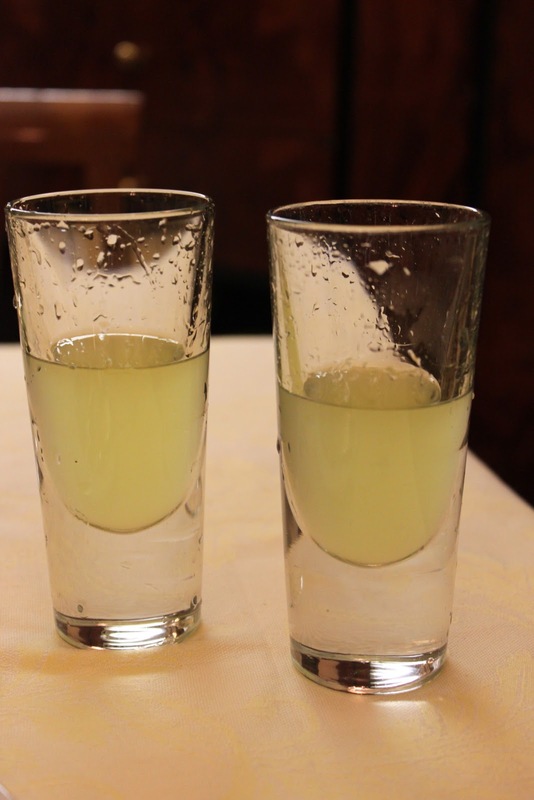 And when we didn't think we could possibly ingest anything else, we couldn't pass up a chance at our last taste of lemoncello, imported from Positano of course. Buzzed from our incredible meal and lemoncello dessert, we savored our last uninterrupted moments in Rome walking the streets and enjoying people watching from a small after-dinner cafe. Once we were all packed and snuggled back in our hotel bed, I fought sleep, holding onto the dream that was this culinary and historic adventure. It will be something that I day-dream about on lonely afternoons in the office and reference in conversations over good (but not quite as good) Italian dinners with friends. And with out a doubt, will carry with me the memory for the rest of my life. "Saving your palate, one plate at a time..."
My mission is to provide you with a truly flavorful eating and cooking experience, offering you recipes, tips, articles, book reviews, and advice to help you cook a little more, eat a little more, as well as live and love life to its absolute fullest! If you typically cook for one or live mostly alone, then you know what I am talking about when you find yourself throwing quarter, third, half, or sometimes even almost full bottles of wine down the drain because you didn't get around to drinking the rest of it before it started to get sour. It makes me cringe every time I take a melt-in-your-mouth velvety pinot noir or a peppered-earthy shiraz and watch it bubble itself out of the bottle and into my garbage disposal. Well friends, here is a great alternative to tossing out a once yummy wine and saving some dollars; make homemade vinegar! It sounds like you might need some special equipment or a ton of extra time on your hands, but surprisingly, wine-vinegar is extremely easy to do on your own, without any fancy skills or machines. You'll want to start with a decent amount of a good red wine (one that you would drink) that is below 12% alcohol by volume, ideally somewhere between 10-11%, and no lower that 10%. Too much alcohol will prevent the wine from converting to vinegar and too little alcohol will allow for the vinegar to spoil too easily. You can actually make your vinegar as simply as leaving the wine out in your kitchen in a clean container with a small mouthed open lid at a steady temperature for a few months. The vinegar will stay towards the top and the excess "non-vinegar" should sink to the bottom of the container. If you want a no-hassle "do less for more" vinegar, then this is the way to go. However, keep a close eye on it and visit some websites online like http://italianfood.about.com for more information on this technique. Ideally, you want to start with what is called a "mother", or a healthy culture of bacteria. Completely harmless, mothers will help to convert the alcohol to vinegar in a safe, more uniform way. You can get your hands on mother from stores that cater to beer/wine/vinegar makers or you can now find it online at sites like homebrew4less.com. If you want to get fancy, you can use an earthenware crock with a spigot (if you are trying to make a big batch) or you can use a small clean glass jar covered with cheesecloth to prevent bugs or dust from getting inside. Whichever you choose, make sure that the vinegar/wine mixture will have access to oxygen, an important component in the conversion process. You should fill whatever container you choose, no more than halfway with your mother/wine mixture. You'll want to start with about a 1:1 mother/wine ratio for your first run. As you continue making vinegar with the mother, it will get stronger and you will be able to add more wine into the ratio. It is important to note that the percentage of alcohol will dictate the length of time to make the vinegar. If you have a wine that is higher in alcohol, you can dilute it with a little water to bring the percentage down, but note that the flavor may seem less rich and complex at the end. The entire process will take two months or more typically for a first-use mother/wine mixture and as the mother strengthens, it will take less time. The mother will sink to the bottom of your container and the ready-to-use vinegar will be floating at the top. Sometimes a small film will develop on top of the vinegar and you can easily scrape this off from time to time. You may want to run your vinegar through a filter of cheesecloth, or a carbon-based filter if you want it to be ultra-refined. Either way, leave a little vinegar in your container and take out excess mother (if it has gotten to be a lot) so that you can continue making vinegar with it. If the mother has run out of alcohol, it will eat off the vinegar and produce water and other not-so-great ingredients as by-products, spoiling further vinegar making. So get ready, get set, and go drink only half bottles of your favorite cabs, pinots, and merlots! And remember, this process is suited for RED wines only. White wine vinegar is harder to make because of sulfites often found in these lighter wines that make the process more tricky. Try This: Pinot noir-vinegar marinated cippolini onions sauteed over herb crusted chicken served with peppery arugula tossed with olive oil and shiraz-vinegar. Try all kinds of wine! Heck, try em' all! Shea Windley. Simple theme. Powered by Blogger.